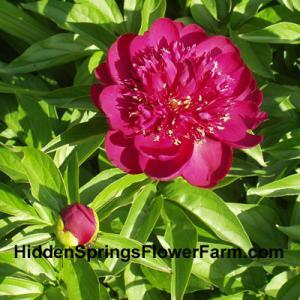 Peony Fire Opal has a dark, brilliant red bomb shaped bloom. Stems with 2 -3 side buds grow to 36" tall. Fast growing and blooms with a bloom date rating of week 5. Plant in full sun in a well drained soil.